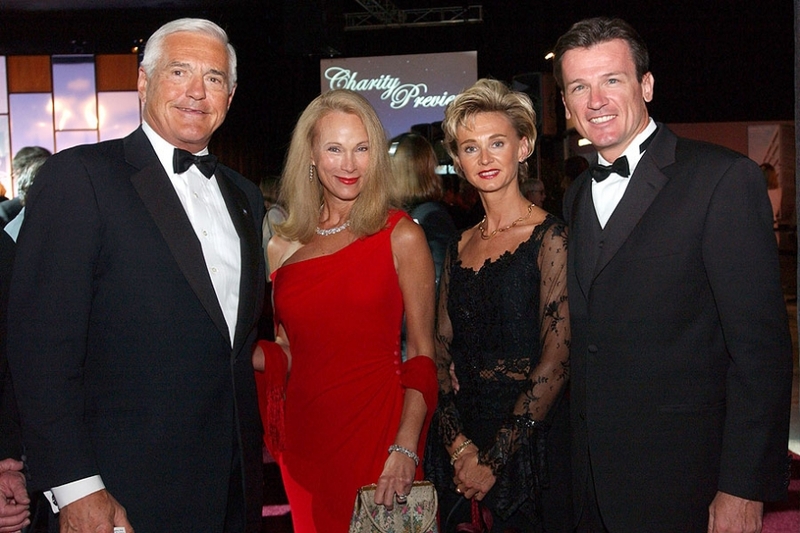 Bob Lutz and his wife, Denise, stood with then Chrysler Group COO Wolfgang Bernhard and his wife, Eva, during the black tie preview at the Detroit auto show in 2004. 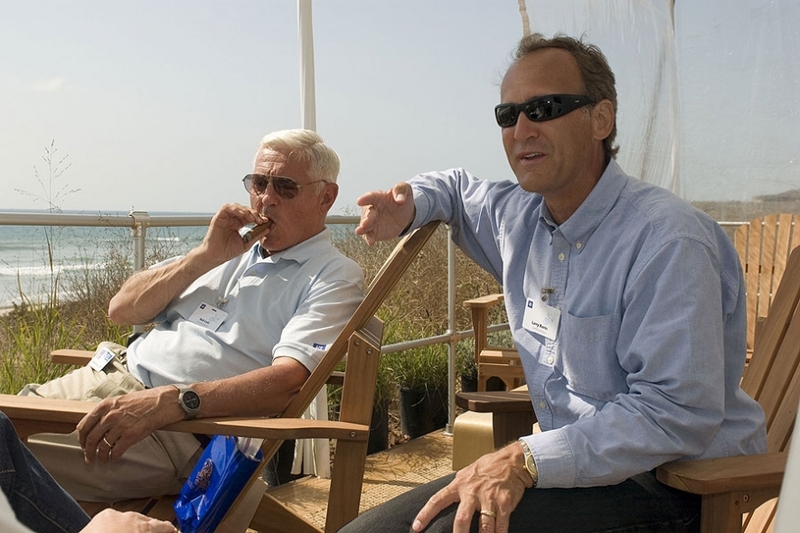 Lutz sits with Larry Burns, head of GM's advanced r&d, during a media program in California touting GM's hydrogen technologies in 2006. 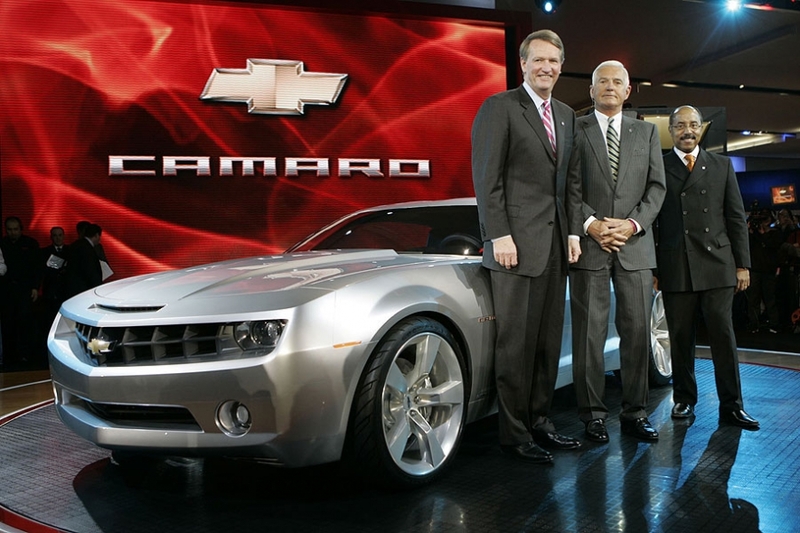 Chairman Rick Wagoner, Bob Lutz and design chief Ed Welburn stand with the Chevrolet Camaro. 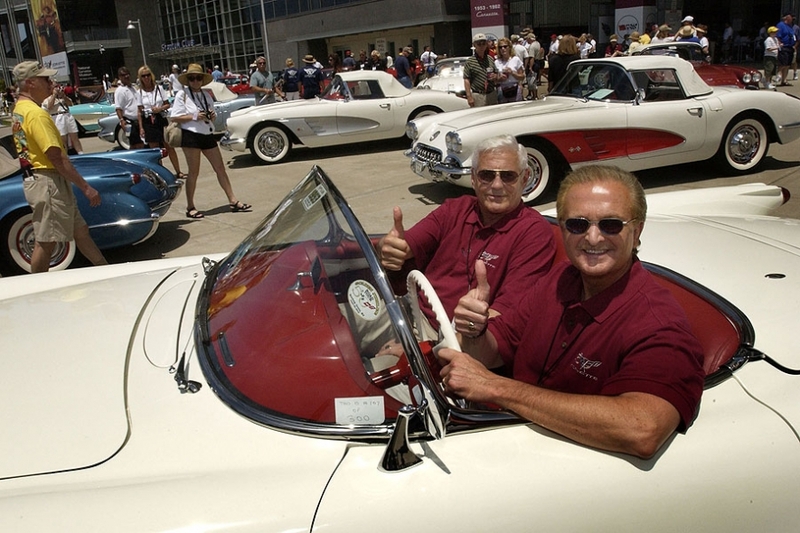 Bob Lutz and Gary Cowger, then president of North America for GM, sit in a 1953 Chevrolet Corvette during a celebration for the Corvette's 50th anniversary in Nashville, Tenn. on June 27, 2003. 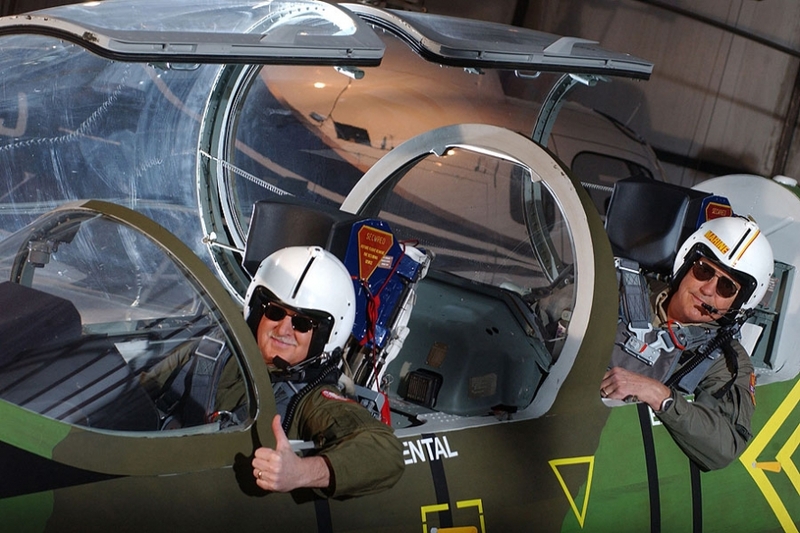 Gary Cowger and Bob Lutz sit in Lutz's Soviet L39 Albatros Fighter Jet 1/5. Lutz, a former U.S. Marine Avaitor, and Cowger were filming a spoof for a GM press conference at the Detroit auto show. 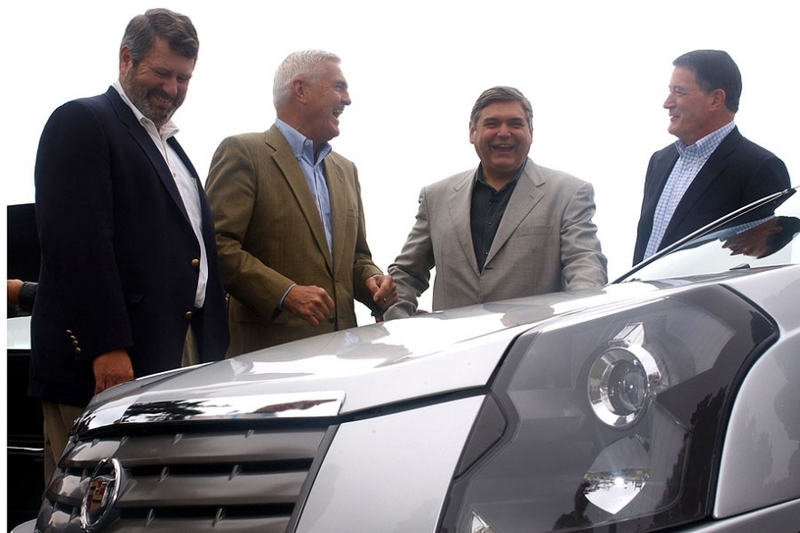 Bob Lutz joined GM executives, including Ron Zarrella, for the unveiling of the Cadillac CTS during the Pebble Beach Concours d'Elegance. 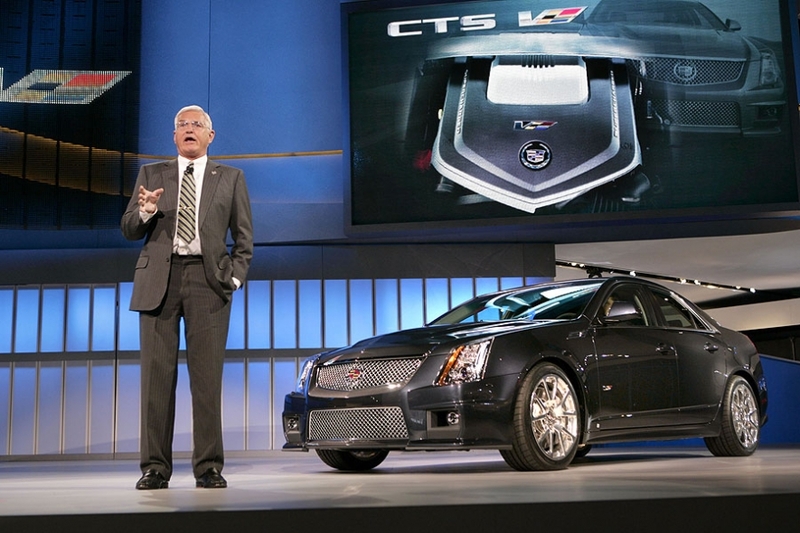 Bob Lutz introduced the Cadillac CTS-V at the 2008 Detroit auto show. 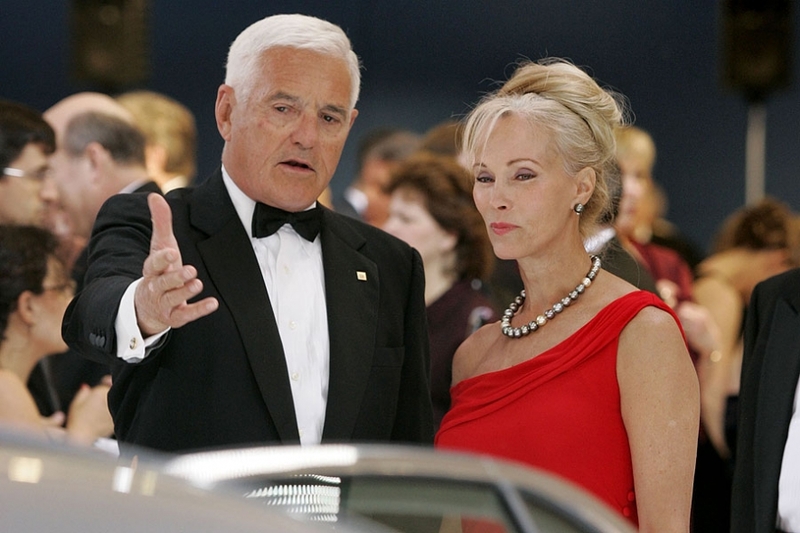 Bob Lutz and his wife, Denise. 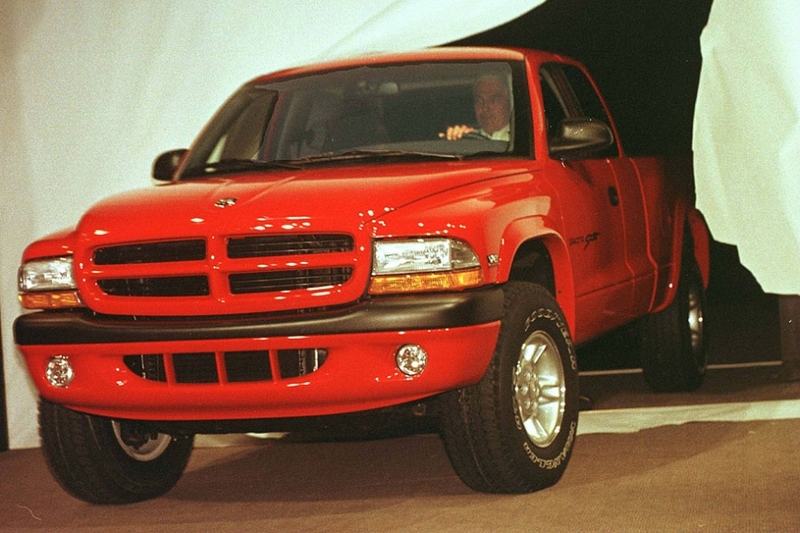 During his stint at Chrysler, Bob Lutz was known for participating in stunts for auto show press conferences. Here he drove a new Dodge Durango pickup through a video screen. 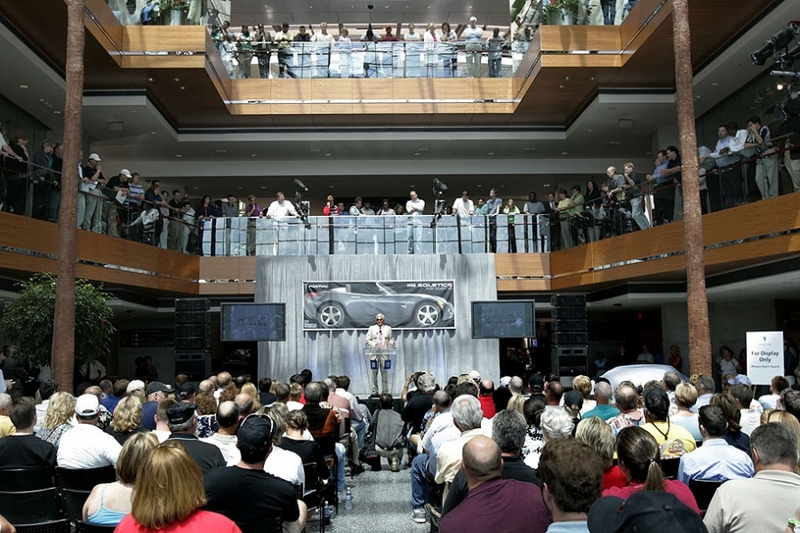 GM held a ceremony at its downtown Detroit headquarters to deliver the first Pontiac Solstice roadster. 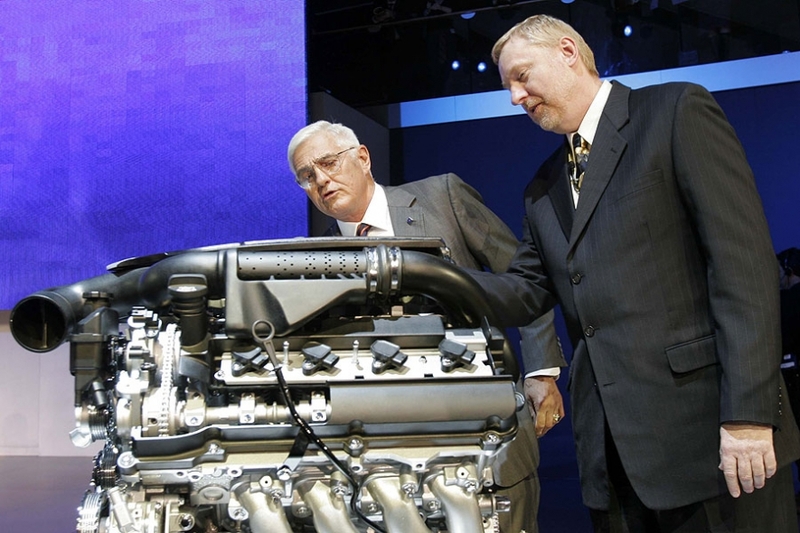 Bob Lutz presided over the ceremony. 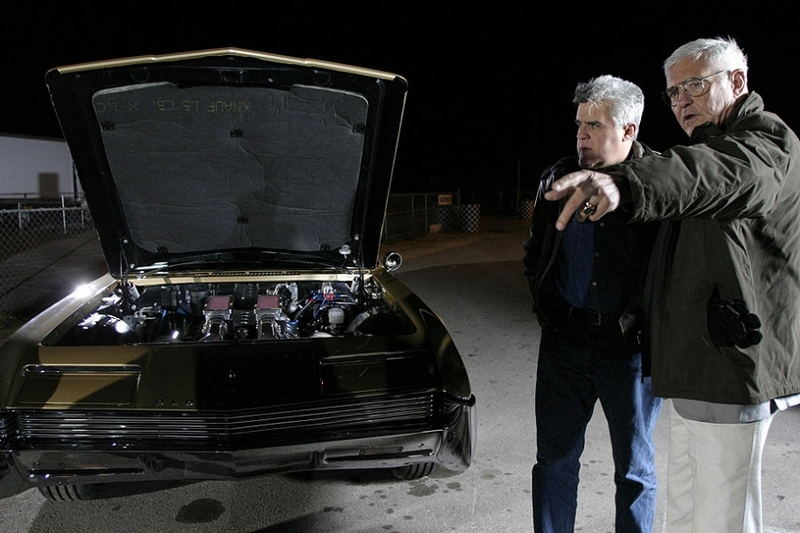 TV personality Jay Leno shows Bob Lutz this 1,070-horsepower '66 Oldsmobile Toronado at the SEMA show in 2004. 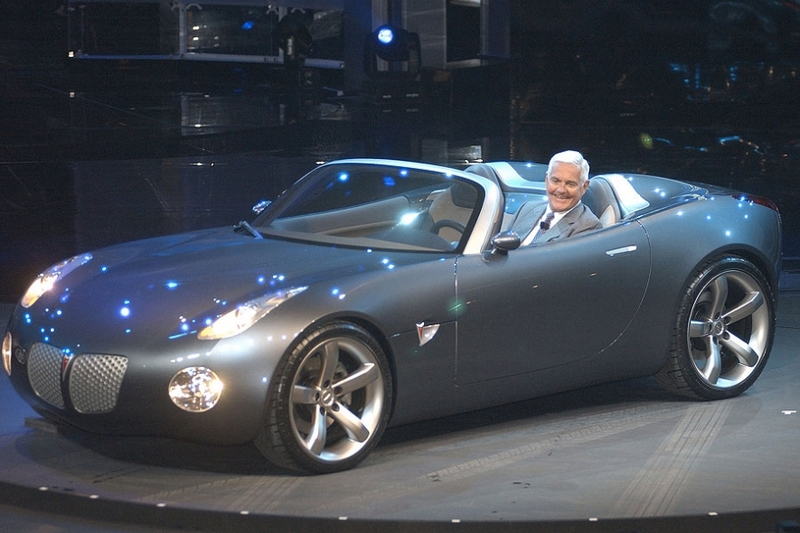 Happier days: GM's Bob Lutz and the Pontiac Solstice roadster concept in January 2002. 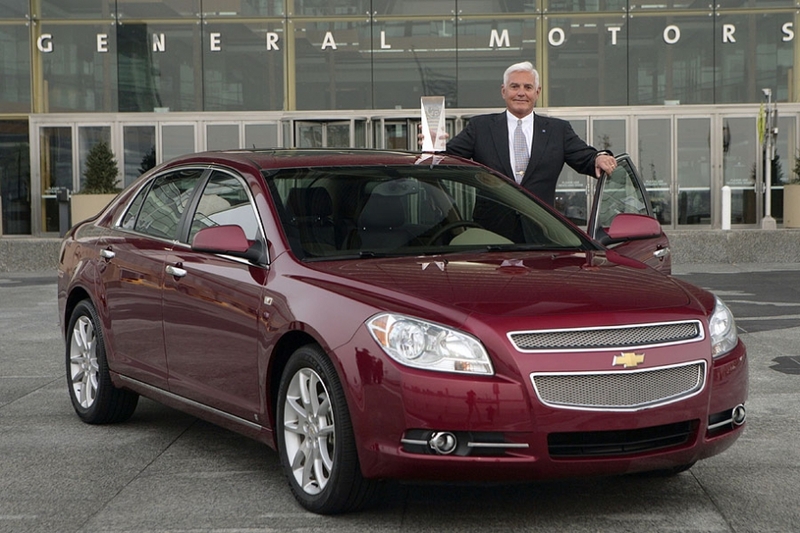 Bob Lutz poses with the 2008 Chevrolet Malibu after it won the North American Car of the Year award. 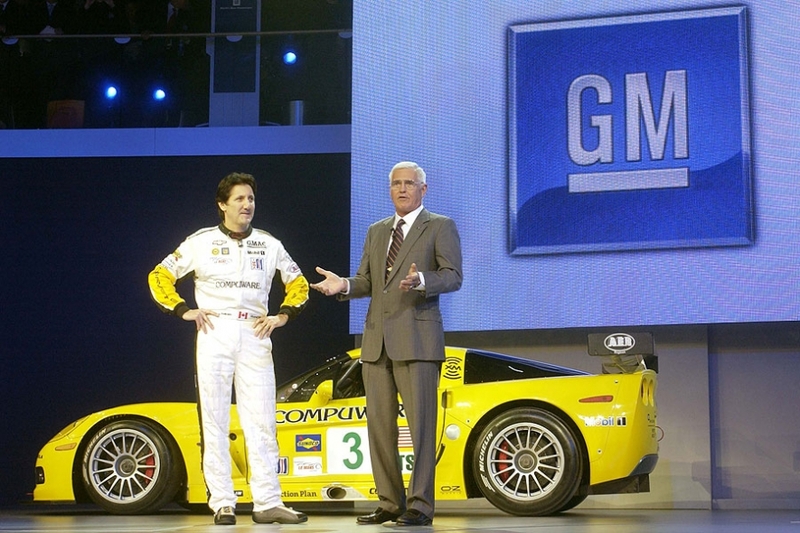 Bob Lutz and driver Ron Fellows at the unveiling of the Chevrolet Corvette C6R race car in January 2005. California Gov. 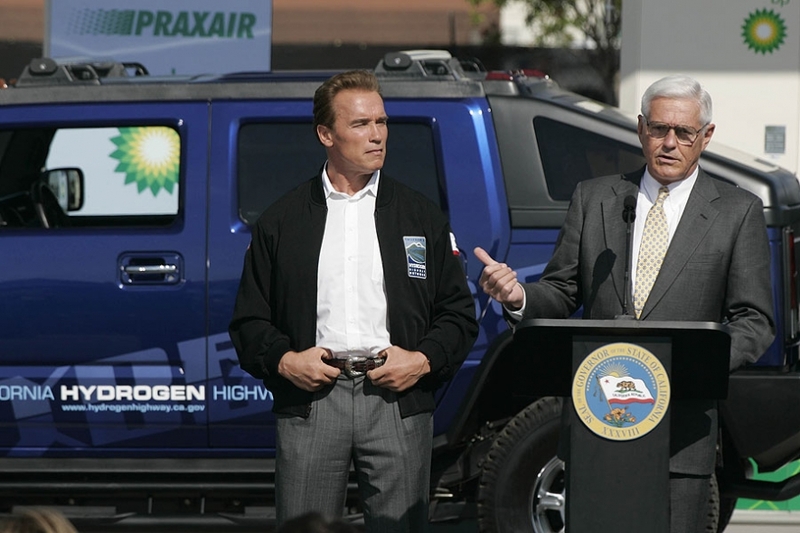 Arnold Schwarzenegger stands with Bob Lutz at the introduction of a hydrogen-powered version of the Hummer H2, the H2H. In the middle of any GM media scrum, you can find Bob Lutz. He's here, near the driver's door, at the rollout of the production of the Chevrolet Volt hybrid. 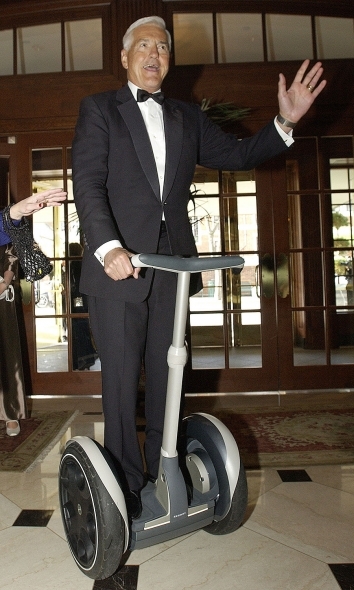 Bob Lutz rides on a Segway Human Transporter during the reception of the 2003 Promise Ball, a charity for juvenile diabetes in May 2003. 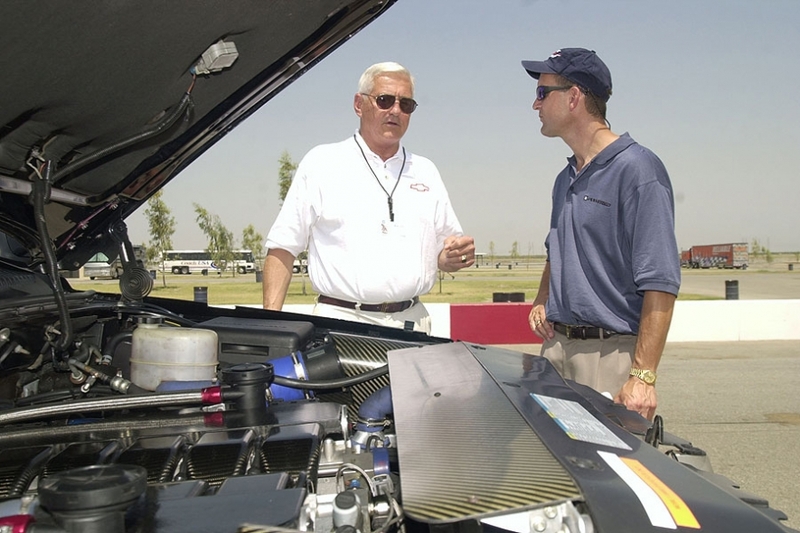 Bob Lutz and Tom Stephens look over a supercharged Cadillac engine. Stepehens will succeed Lutz as GM's global product development chief. 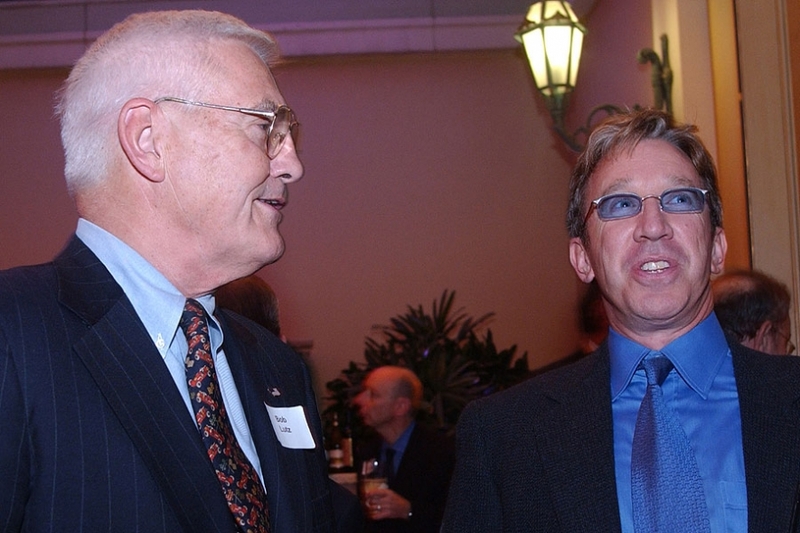 Bob Lutz chats with actor and car enthusiast Tim Allen at the 2001 SEMA show, just before Lutz started his GM career. 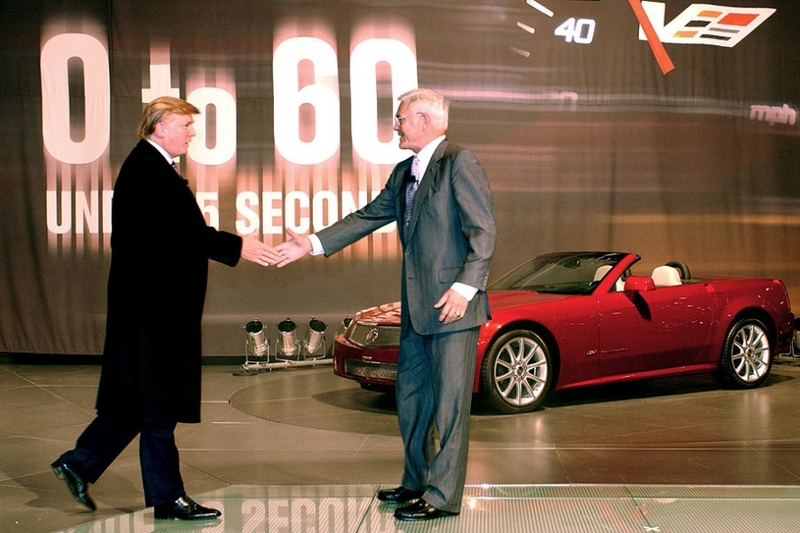 Real estate businessman Donald Trump joins Bob Lutz on stage to introduce the Cadillac XLR-V at the 2005 New York auto show. 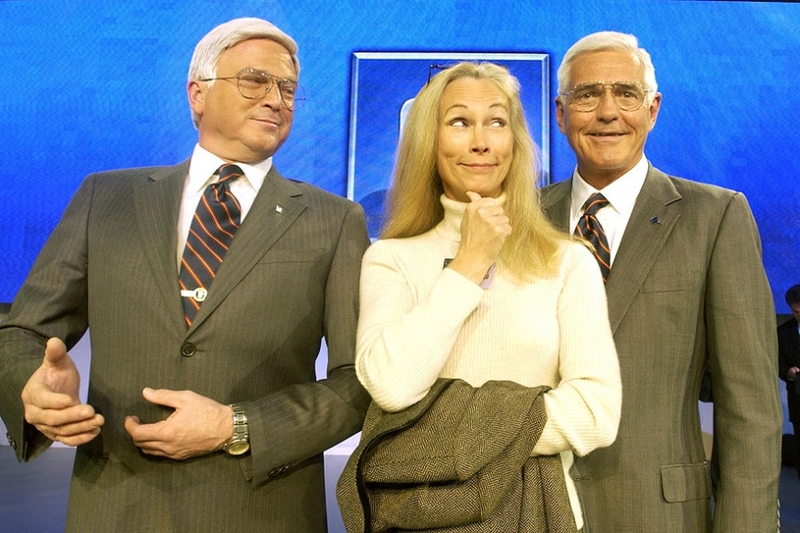 Denise Lutz, center, is surrounded by Bob Lutz as part of an auto show stunt in 2005 that used a body double of the GM executive. 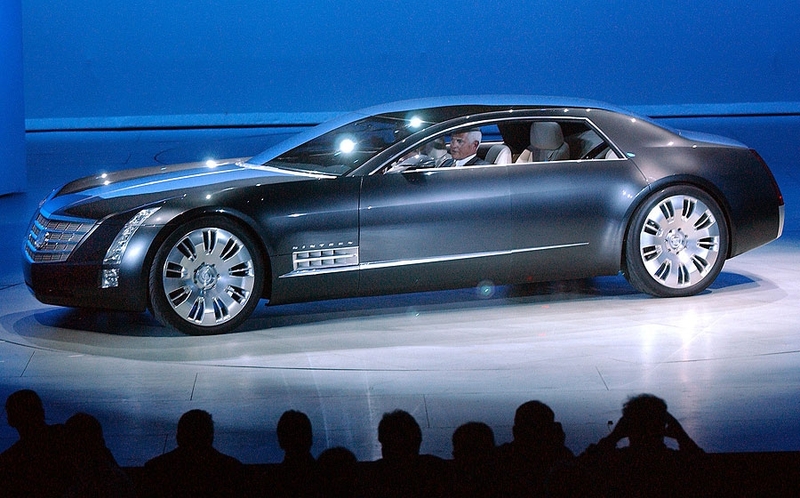 Bob Lutz looks over a prototype Cadillac Escalade SUV with a V12 engine. 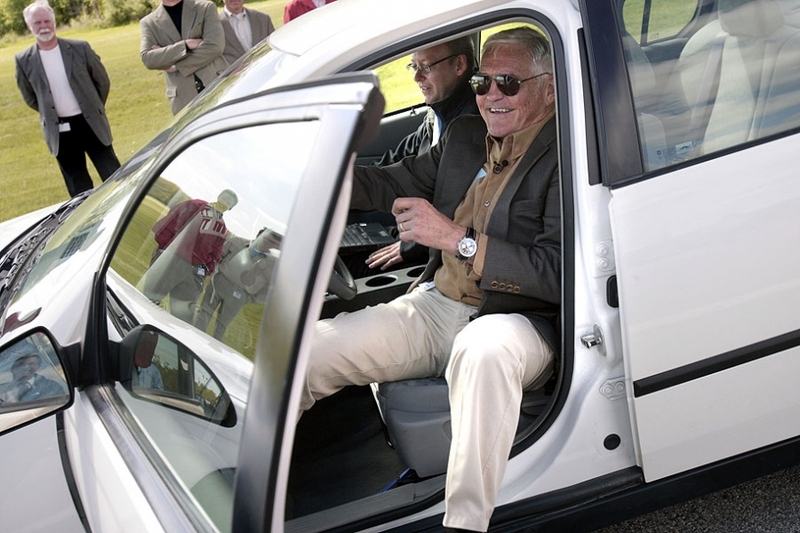 Bob Lutz is all smiles after driving a prototype mule for the Chevrolet Volt powertrain. 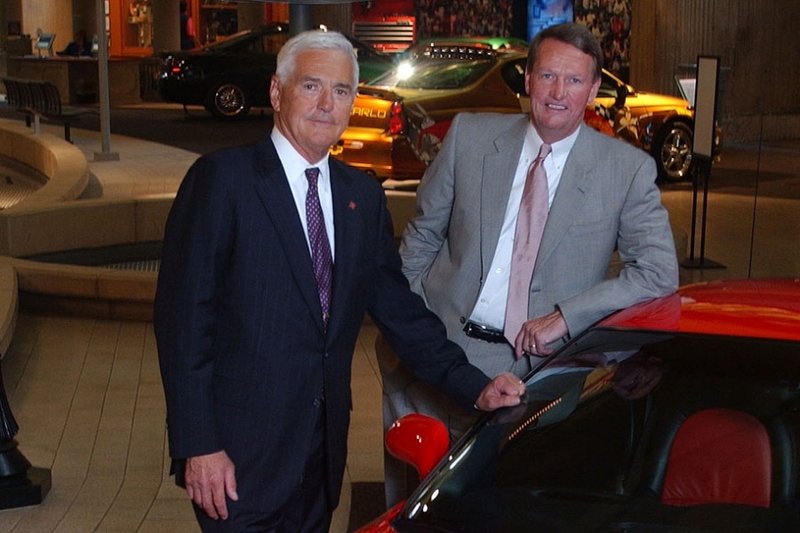 Bob Lutz stands with Rick Wagoner on Sept. 1, 2001, the day Lutz joined GM.